Comment Google may have underestimated the difficulty of driving in Europe, and yesterday’s announcement about its driverless cars is evidence that it has. But Mr Insurance man, the Google Noddy Car bumped me! Mountain View's Chocolate Factory unveiled a very Willy Wonka-esque two-seat driverless car. It looks like a child’s toy. And it showed us how it worked. Along it tootled for a few hundreds yards, in a straight line, encountering no obstacles. The passengers said they were delighted. In California, where the project was conceived, driving is already semi-automated – you can practically drive with your eyes closed. Everyone (well, almost everyone) obeys the speed limit, and most cars are on cruise control most of the time. Everyone is also very polite. Lanes merge. Cities conform to grid plans. I enjoyed everything about driving in California because it was, for a European, a piece of piss. But it’s a very different story driving in London – let alone Paris, or Naples. Americans have gun massacres, we have road rage. 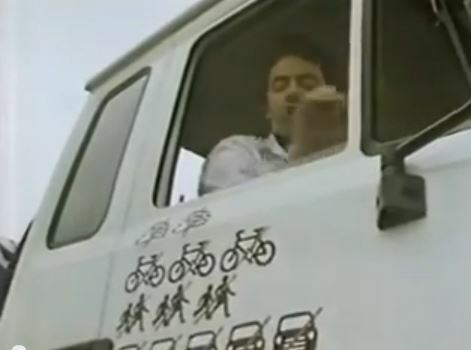 And do you think Google’s Wonkamobiles will reduce or increase that road rage? One thing’s for sure - it’s going to be fun being a trucker again, giving these little Noddy Cars a "friendly bump". There are other obstacles to a car-less utopia that were not really confronted the media yesterday, as it was indulging in another wave of wishful thinking. There are huge issues of trust to be overcome. I can’t imagine many Mumsnetters packing DS and DD* into one for the school run, particularly in the anarchic traffic and drop-off conditions of an English city. And it’s not just safety. The trust issue also comes up, inescapably, simply because it’s Google. Just a few years ago, Google’s then CEO said that if you didn’t like what Google did with the information it had about you, you could always change your identity. The message: we’re never wrong – get used to it. Get stuffed. Now for anyone who has been involved in an auto insurance claim: how do you think that attitude will go down? Imagine your car’s taken a dent because – and I’m sure this could never, ever happen - the Wonka Wagon just rear-ended you. Not very well, I suspect. Maybe you’d like to disappear off the road, sir? Or, the promise to be reported to an "independent" Chilling Effects-style site, where inconveniences to Google are shamed for eternity. So at this stage, Google’s great "Moonshot" of driverless cars looks like a cool stunt created for Burning Man, one that got a little out of hand. (The project was born from the Pentagon mad-scientist bureau DARPA's Grand Challenge held in the Mojave Desert – which we wrote about a great deal at the time – and one desert looks pretty much like another). What the hell. Google had lots of money. And it also gave Sergey Brin something to do. 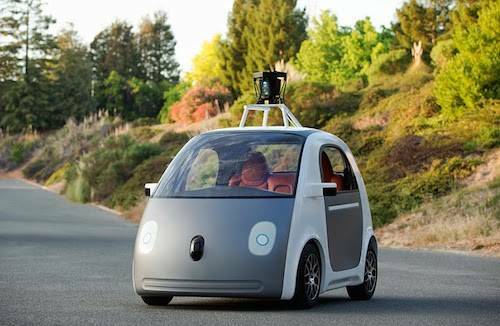 Many of the technologies now being researched by the robotics industry – of which Google is a small part – will end up in cars sooner than we think. It’s not going to be a car-less utopia but services that guarantee you a parking spot or provide intelligent routing advice are pretty much already here. Even taxi drivers who have "The Knowledge" are surprised by roadworks and street closures here in London. Nokia surely has a more realistic chance to put "big data" to use with its more modest goal of “connected” cars rather than fully automated people-carrying robots. Nokia’s Mercedes-Benz research project looks a lot more useful, plausible – and close at hand – than the Wonkamobiles. Next page: Right, who nicked my drone-delivered pizza?